With so many people relying on smartphones and tablets, it’s important that your online ticketing, registration, reservations and donation pages look good and work correctly on mobile devices as well as computers. Doubleknot’s support for responsive design makes it easy to build pages and forms that automatically adjust to the display device. Visitors to your site can read, navigate and enter information without constantly resizing and readjusting the screen. buy tickets and memberships or make donations any time, anywhere. Doubleknot’s environmentally friendly support for mobile ticket display enables ticketholders to display their ticket on a smartphone instead of printing it—ticketholders simply present their smartphone for scanning. 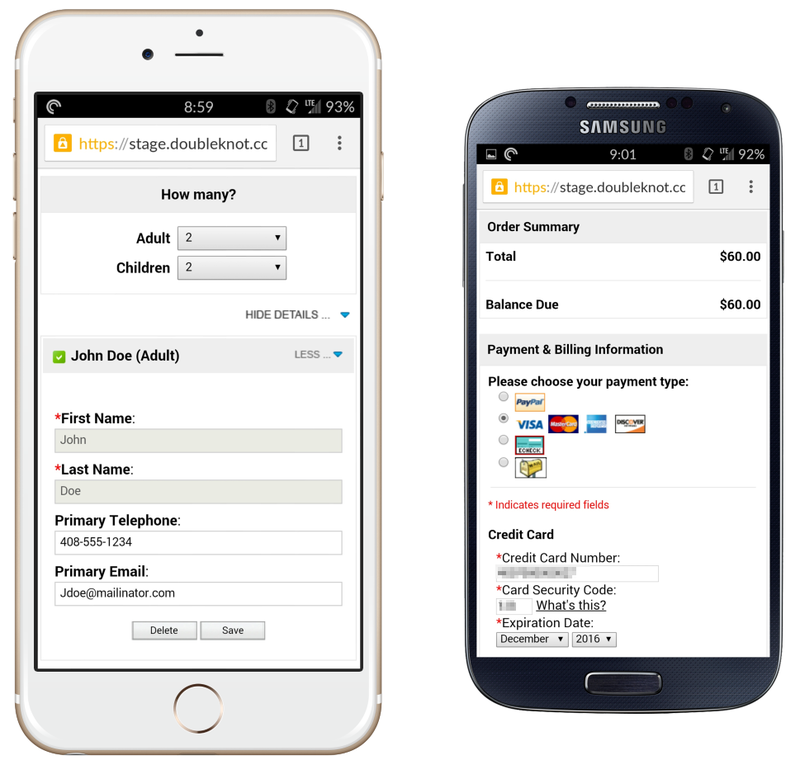 Doubleknot makes it easy to buy tickets anywhere and display group or individual tickets on a smartphone. In addition, Doubleknot-issued tickets can easily be added to Apple Wallet, which provides your customers with an elegant, easy-to-use option for storing tickets. 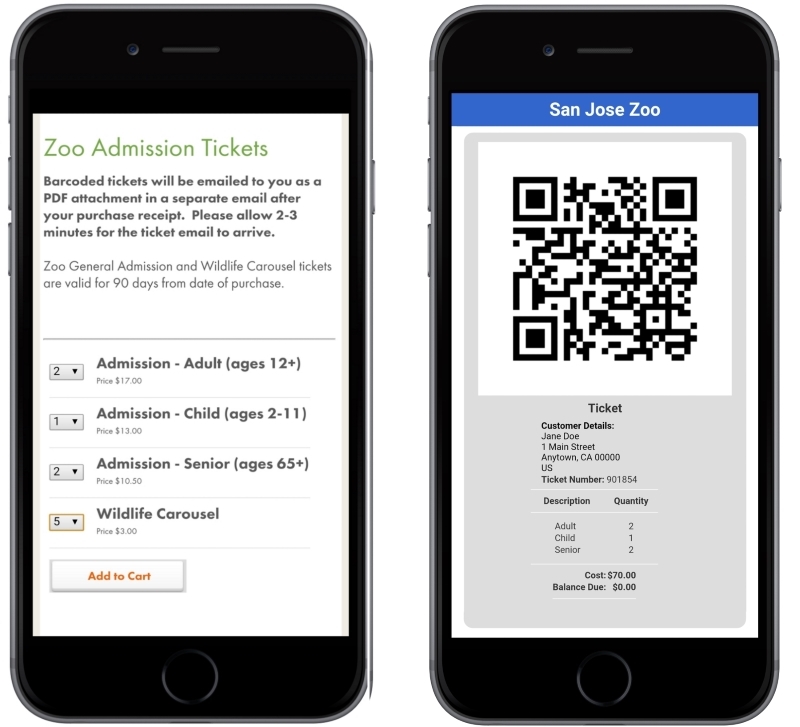 Tickets in Apple Wallet contain all of the same information as a paper ticket, and any changes that are made to a registration are automatically updated in Apple Wallet. You can customize the design of the Apple Wallet ticket to align with your branding. Apple Wallet notifications display reminder messages on the customer’s lockscreen before the start of an event or when the member is close to your location. You can create an additional branding touchpoint for your organization by including your logo on Apple Wallet’s lockscreen messages. Doubleknot’s mobile check-in solutions let you scan tickets and manage attendance anywhere you have an Internet connection. When you check in an attendee, the app will inform you if the ticket isn’t valid or if the registration is missing information or has a balance due. Checking in an individual or group with Doubleknot’s app for iOS is simple: just launch the app, touch Scan and hold the device over the QR code. You can also check people in with a scanner or webcam attached to a PC.